1. When calling Advanced Metal Etching are you greeted appropriately? 2. Are questions and needs addressed in a polite and efficient manner? 3. The lead time to respond to a request for quotation. 4. Are the quotes understood? 5. How is the lead time for shipments? 6. How is our pricing within the competitive marketplace? 7. How do you rate our technical staff? 8. How is the staff's ability to service, be efficient, and be polite? 9. How would you rate our overall customer service? 10. How would you rate our overall quality? 11. Do you have a rating system for vendors? 12. Have you ever received a corrective action response from us? A. How would you rate our Response Time? B. How would you rate our Documentation? C. How would you rate our Technical Communication? 13. Are you certified to a quality system standard(s)? 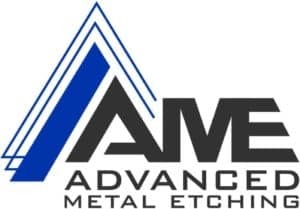 Advanced Metal Etching would like to thank you for taking the time to complete this survey. We appreciate your input. AME will never sell or disclose any of the information provided.